Make the game map bigger but not huge, multiplayer should be like a GTA V thing. Still a faint chance it could be revived someday. Isn't Emo a type of punk rock like we say death metal or power metal? 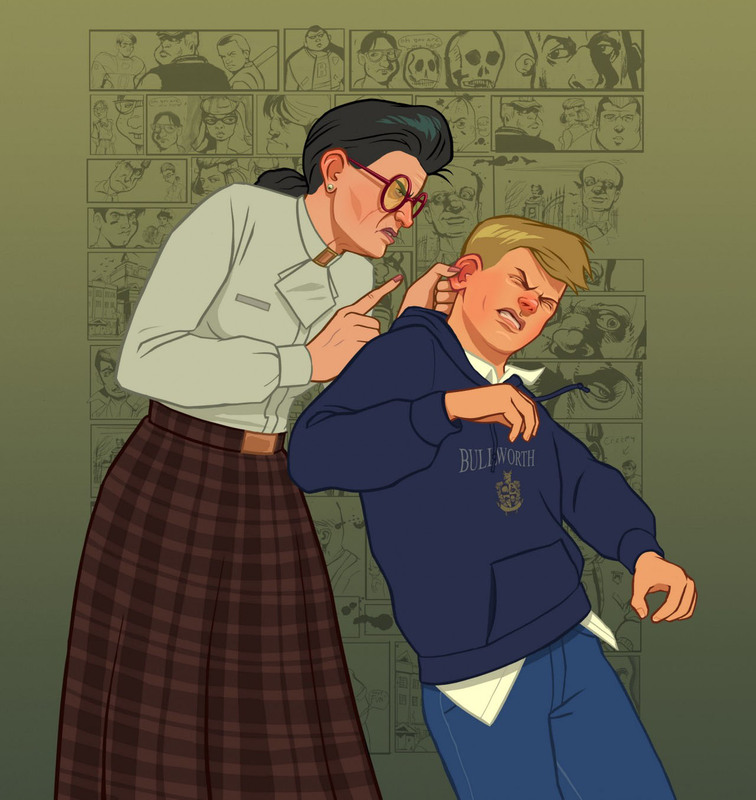 I dont know i belive you if you say "well actually blah blah"
I think it would be cool, if instead if they couldn't do a bully 2 they could remaster bully, and add all the stuff that was in the beta. That would be hard because most of the beta stuff wouldn't fit in a T rated game, however most of the scholarship extra content was going to be in the original PS2 version. They should create a sequel for that. They could always remaster it as an 18, that'd be cool! Add some stuff in there that we also haven't seen before that's 18 rated.. I'd like for there to be a larger map, I mean the map we got in the Original Bully was fine but imagine what they could do with the technology they have today. More means of transport not just walking, skateboarding, riding a bike, moped or go-kart and even getting the bus back to school but add-ons such as riding the subway, getting a taxi, rollerblading. Relationships are built on a case by case scenario. More dynamic weather patterns and main protagonist realistic response to the said weather. More ways to earn money. Page created in 0.898 seconds with 24 queries.